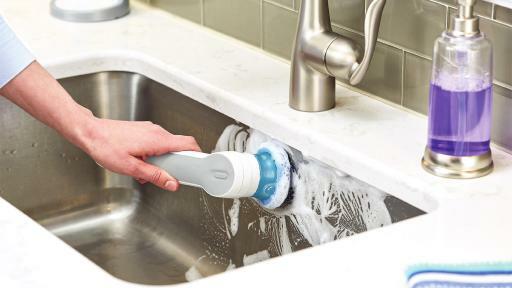 TOWSON, MD (August 14, 2017) – BLACK+DECKER™ announces new powered kitchen and bathroom scrubbers for cleaning without all the work. The GrimeBuster™, GrimeBuster™ Pro, and ScumBuster® Pro motorize scrubbing in order to agitate surface materials, eliminating the typical “elbow grease” that manual cleaning requires. The GrimeBuster™ ($14.99 MSRP) and GrimeBuster™ Pro ($29.99 MSRP) quickly clean kitchen surfaces, dirty pots and pans, sinks, microwaves, and more. They are lightweight and each feature an ergonomic design. 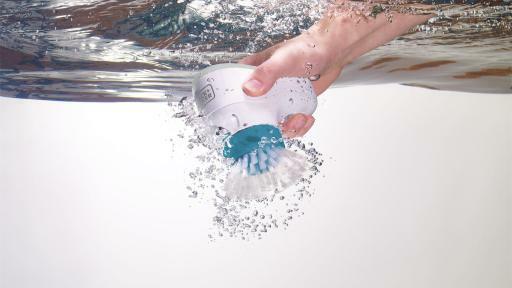 With a slip-resistant grip, they are also submersible in water. 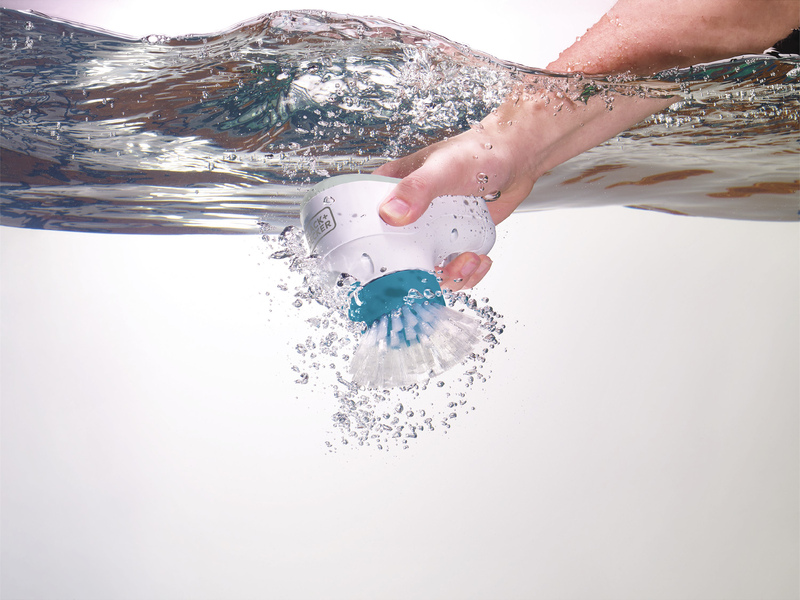 Each scrubber comes with two dishwasher-safe scrubbing attachments – one with a non-scratch sponge and one with nylon bristles. 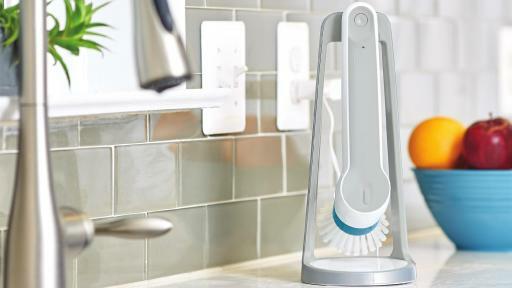 Heavy-duty sponge and bristle brush attachments will be sold separately. The GrimeBuster™ is powered by four included alkaline batteries. The GrimeBuster™ Pro has added features, including a longer handle and a charging dock that powers its long-lasting Lithium-Ion battery. The attractively designed GrimeBuster™ Pro can be left on the counter on its charging base until it’s time to clean again. The ScumBuster® Pro ($34.99 MSRP) is ideal for cleaning bathtubs, glass shower doors, tight floor spaces, and other bathroom areas. A removable telescoping pole will be sold separately and can be added to the ScumBuster® Pro to help access hard-to-reach areas, both high and low. 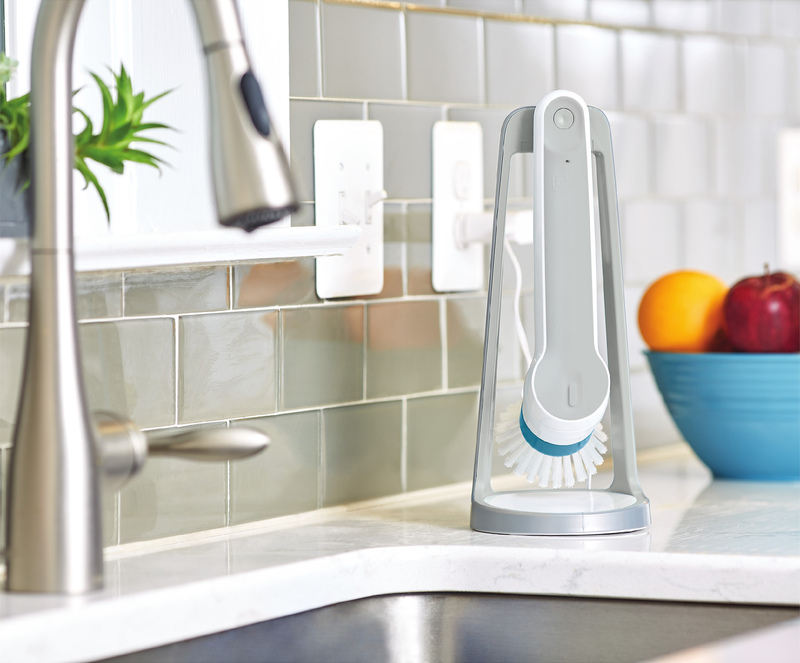 The scrubber is powered by a Lithium-Ion battery and comes with a charging base that can be mounted onto the wall or simply sit on the counter. The ScumBuster® Pro comes with a general purpose cleaning pad and a scouring pad with additional replacement pads sold separately. 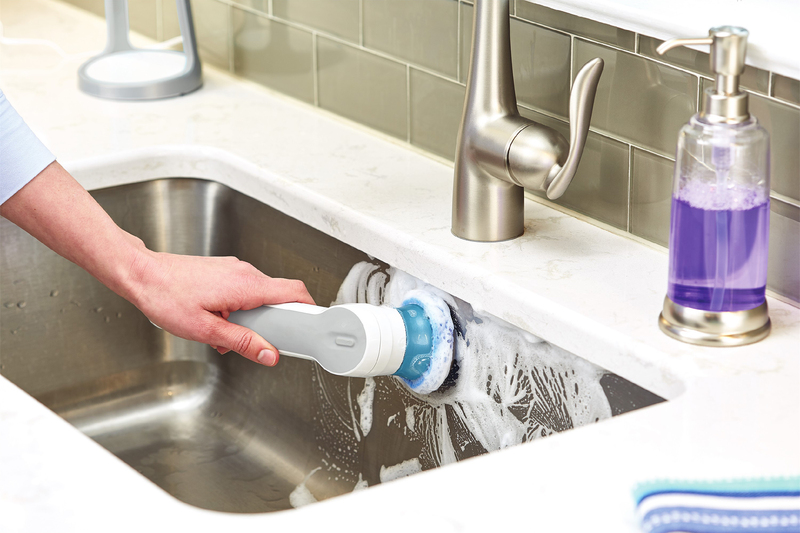 Available in October 2017 where BLACK+DECKER products are sold, all powered scrubbers are backed by a two year limited warranty and 30 day money-back guarantee. 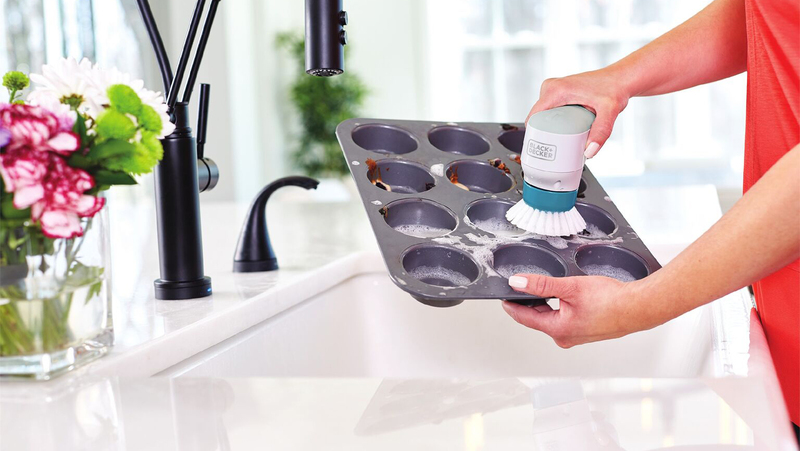 Stay tuned as BLACK+DECKER continues to bring innovative solutions to powered kitchen and bathroom products for quick and convenient cleaning.